Robbie Williams has opened up about life with his new baby daughter. The singer and his wife Ayda, who are currently appearing on the judging panel of The X Factor U.K, surprised fans when they announced last Friday (07Sep18) that they had welcomed a baby, daughter Colette Josephine Williams, known as Coco, via surrogacy. 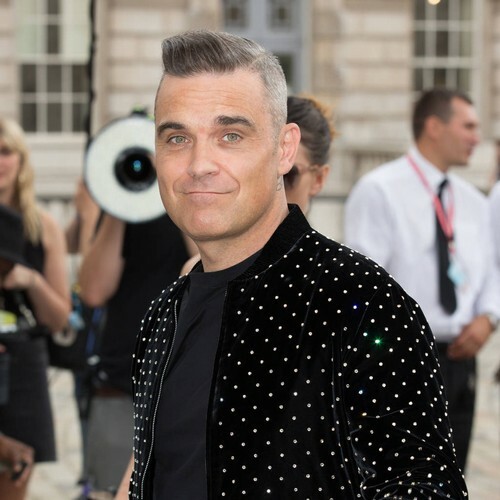 Robbie, 44, explained in an interview with British newspaper The Sun that adding a third child into the mix hasn’t upset the family at all. Robbie and Ayda are already parents to five-year-old daughter Theodora, nicknamed Teddy, and son Charlton, three, and the former Take That star said they are both enjoying giving their new sibling “lots of cuddles”. The couple announced Coco’s arrival with a black and white photo of the family’s hands on Instagram. Ayda added that Coco was born via a gestational carrier, but did not share details of exactly when the new addition was born.